OMG so gross. Wouldn’t you try to come up with another name? Yuck. seriously, shan? this is what you’ve been reduced to, posting pictures of unappetizing lunch meat? 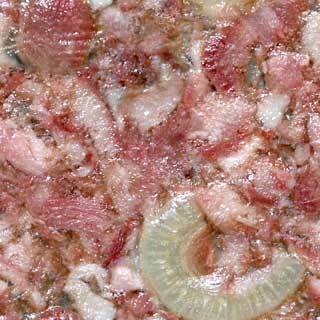 Go ahead….Post the picture….I totally hate Head Cheese. The last time I saw it brings up horrid memories of very stooopid people (just sayin’) who were slathering it on bread and I was gagging! Thanks for the card …right back @ you!